We are a spiritual oasis, welcoming and striving to serve all in the hope and love of Jesus Christ. 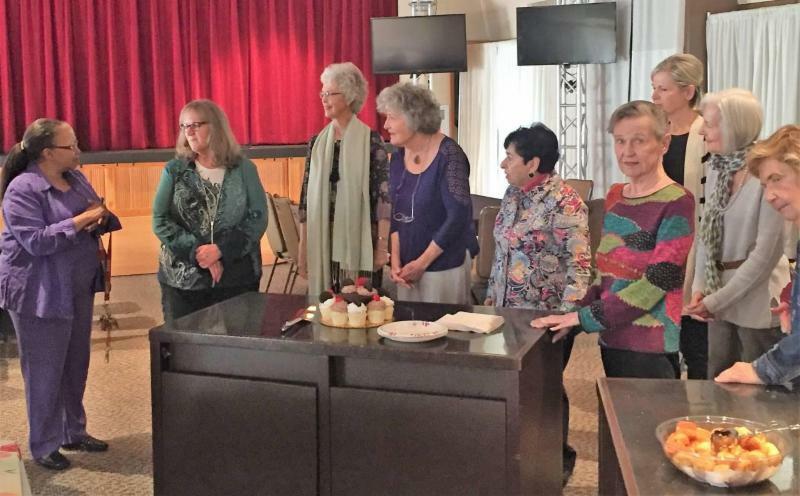 All the cooks who celebrated with chili! from left, Ann & Andy Cullinane, Susan Moore, Carlos Bahena, Sherry Wright, Ben Jones, Ann Ziegler, Jeff Davidson, Mike Ziegler, Dave Kovacs, Peggy Kitts, Rachel Blair, Ellie Brokaw. 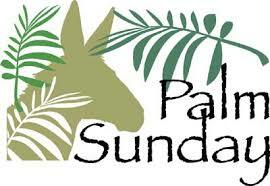 I want to offer a HUGE MEA CULPA to all those who were scheduled to serve at the 8AM Easter Day worship service. On Easter Day, we will have ONE SERVICE ONLY at 10AM. Because that day, we will launch Phase 2 of our Welcome Video Project. 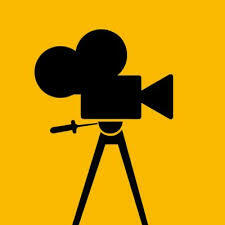 A videographer will be on campus (like on Ash Wednesday) filming a variety of events. No one need be videotaped if you don't wish to be. We are hoping EVERYONE will join us for the 10AM service and a glorious and grand brunch afterwards! We want to thank EVERYONE who participated in Phase 1! 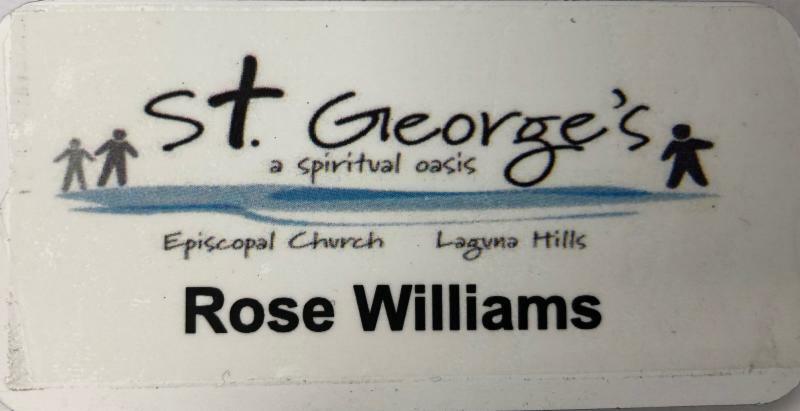 This video will be hosted on the city of Laguna HIlls website and we are hoping it will serve as an introduction to all the great and joyous events happening at St. George's! (or feet) as Jesus did that night. 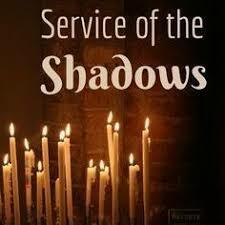 The altar is stripped and washed; the night continues with a Vigil to remind us to pray as Jesus invited his disciples: Can you keep watch for one hour? 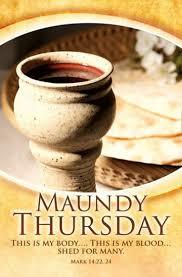 One of the most holy days in the Christian calendar. 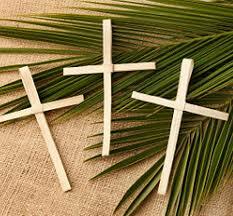 We remember parts of Jesus’ walk to the cross. We pray. We wonder about God’s relentless grace and forgiveness in our lives, homes, and the world. the brokenness in our lives, relationships, community and world. the Alleluias in the service. 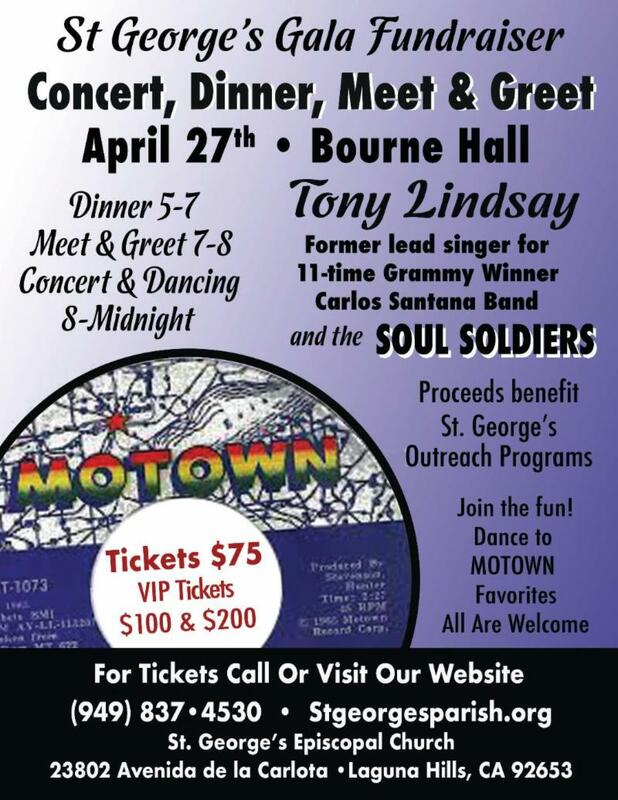 Please consider purchasing tickets for the April 27th fundraiser. Proceeds from this fundraiser will go to ministries the church is engaging and to supplement our budget. If you are unable to attend, perhaps you could gift the tickets to someone? Please circulate the information with all those you know who might be interested. Last Sunday we gave an official, warm St. George's welcome to our church administrator Diane Pound, with cake! Please stop by the office and greet her. We are blessed to have her. 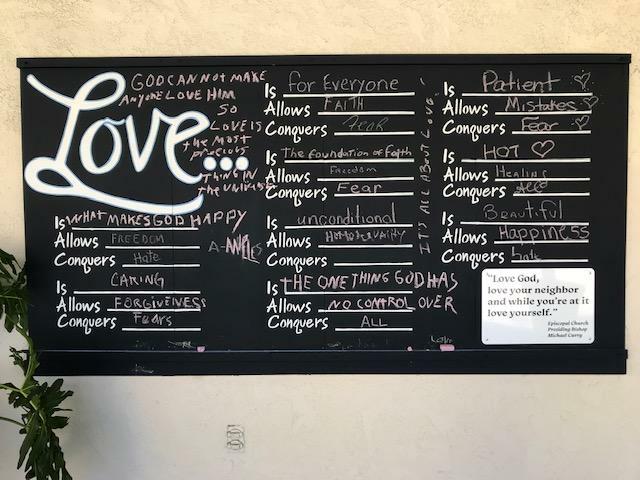 Check out the Love Board! Share your understanding of this complicated emotion! 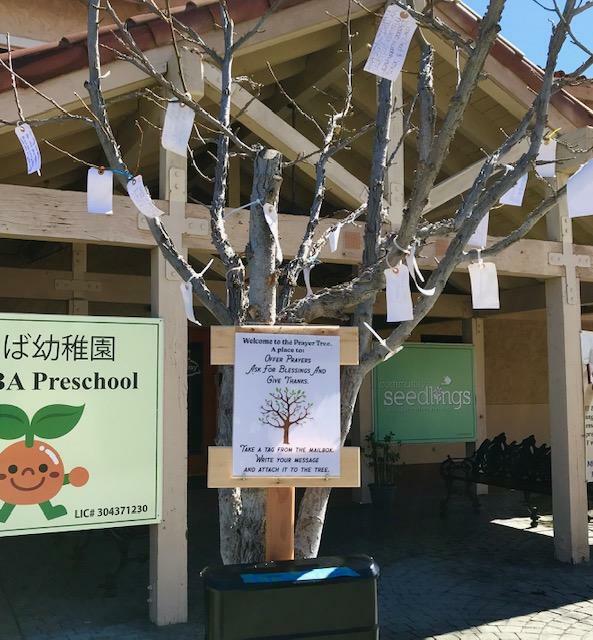 We Now Have A Prayer Tree! ﻿ in the courtyard adjacent to the fountain. Many thanks to Bob Howe who came to us with this thoughtful idea. Coffee Hour Hosts : The entire Church Community is asked to bring simple foods: bread, fruit, cheese, salad, simple desserts. 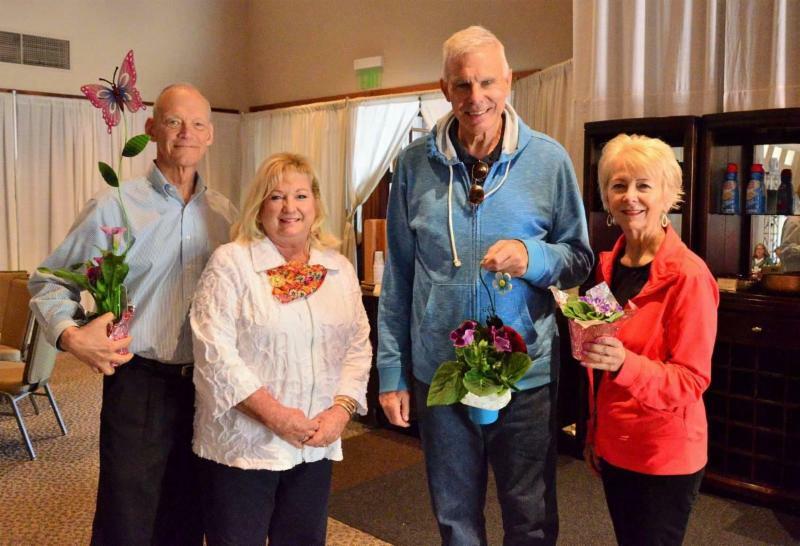 Wednesday at 5PM is the deadline to dedicate Easter Flowrs. The first line of Isaiah 50:9 is probably in our text is: “The Lord God has given me the tongue of a teacher.” But the Hebrew text reads “the tongue of those who are taught”. New American Standard Bible (NASB) has “the tongue of disciples,” New International Version (NIV) “a well-instructed tongue,” and Common English Bible (CEB) “an educated tongue”. In other words, the servant has learned from the Lord. The servant is a prophet who proclaims God’s word. The prophet can do this because the Lord has given it to him; perhaps it has come both through direct revelation and through the tradition of Isaiah of Jerusalem. The instruction that the servant receives is not only for his good; it is also, and perhaps especially, for the good of others . The purpose of the servant’s instruction is to enable him to help others through his words. The proclaimed word offers hope and strength to those who hear it; it helps them to endure. The prophet receives the word to pass it on to others. Perhaps we can assume that the people who hear it have truly received it only when they pass it on as well. How does the proclaimed word enter your heart? Luke 23:33-43 challenges us to expand our notions of who deserves mercy. 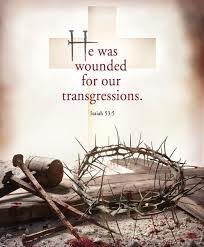 Stating only that Jesus was crucified alongside two criminals Luke does not dwell on the mechanics of crucifixion. The mockeries communicate how dismal things have become for Jesus. These taunts get closer and closer to him, giving the reader a sense that the forces against Jesus are closing in on him. The Jewish leaders are close enough for Jesus to hear them; the soldiers, who had already taken his garments (verse 34b), come up to Jesus as they mock him; and the final act of derision comes from someone right next to Jesus. Each of these taunts challenges Jesus to save himself as a demonstration of his power to save. The leaders, the soldiers, and the criminal address him with titles that from their perspective add to the ridicule but are actually affirmations of Jesus’ identity: “chosen one,” “King of the Jews”. They are unable to see that Jesus’ identity as “Messiah,” “chosen one,” and “King” is inextricably linked to his crucifixion. The salvation Jesus offers takes place through the cross, not apart from it. Next week: Easter - Day of Resurrection! 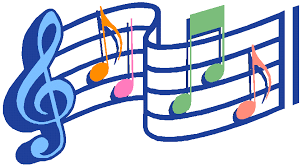 This new year will bring more beautiful music from our choir. 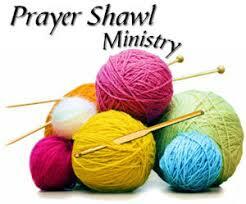 Please consider a donation to help defray the cost of this excellent ministry. If you would like to donate, flyers and envelopes are available in the narthex. Want to add a birthday? If you need a new name tag, or an upgrade of your current one, please contact the office. ﻿Please note that if you are having a name tag upgraded or changed, please bring in the old hardware. We can use it, and thank you. We pray this week for those discerning a call to ordained ministry: Ryan Macias and to lay ministry. in the Hospitality Room. Join our journey into the Gospel reading for Sunday! Hearing, considering, sharing the word helps to deepen the worship experience. 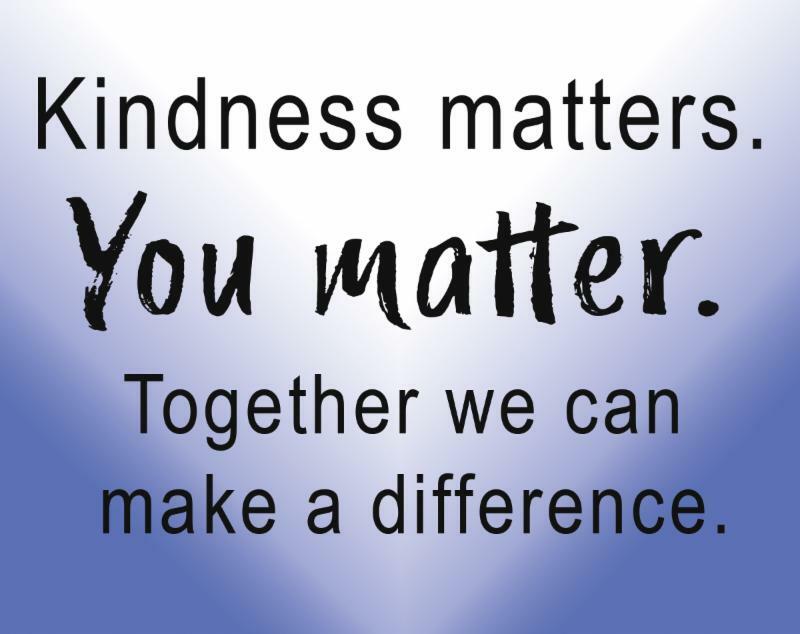 Your ongoing support of South County Outreach Food Pantry continues to help those less fortunate. Bring donations to the barrels in the narthex. 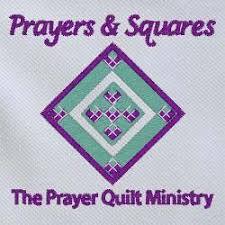 If you would like to learn to quilt, this is your opportunity to join in the fellowship of this wonderful group. They have sewing machines and tools if you don't have your own. They also have FABRIC! meets 1:30PM, the third Wednesday of every month. For further information contact Katie Dunbar at (949) 378-4995 or email at kdunbar@cox.net. 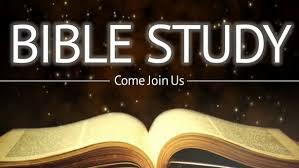 of every month in the Library (formerly the Hospitality Room) at 9:15, in between the 8AM and 10AM services. 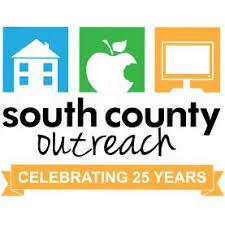 An Urgent Request from South County Outreach! 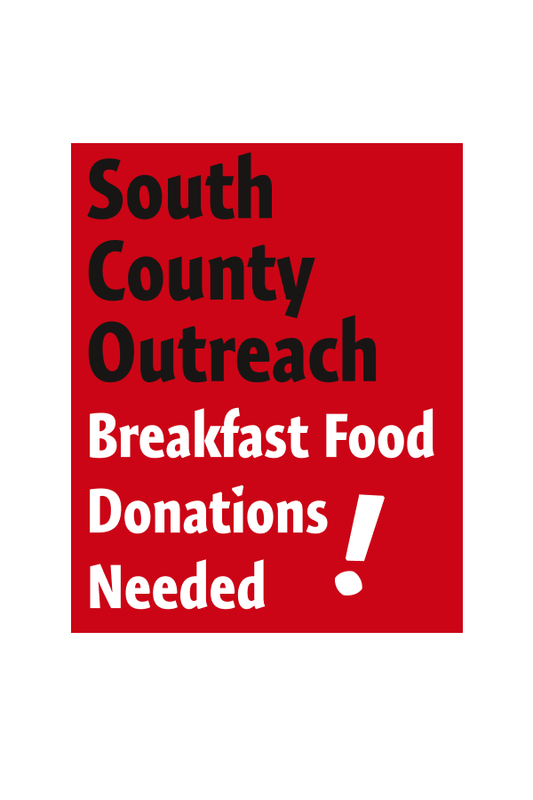 South County Outreach is asking for Breakfast Bars (6 or 12 bar package) and for Oatmeal or Cream of Wheat. They are very short on these regularly distributed items. There is an immediate need for these items to help the 2000+ individuals they serve each month. South County Outreach is in need of volunteer Truck Drivers at their Upscale/Resale Thrift Store! 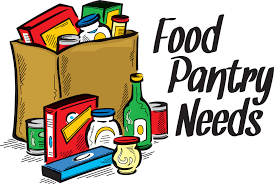 Also, they need pantry volunteers one day per week, either 8:40AM - 12:30PM or 12:30PM - 4PM. Robin Barton will return emails and/or phone calls and give more information as needed. Thanks to the generosity of many at St. George's we collected 127 pounds of food for South County Outreach during the month of February. Now, let's top that before St. Patrick's Day in March! 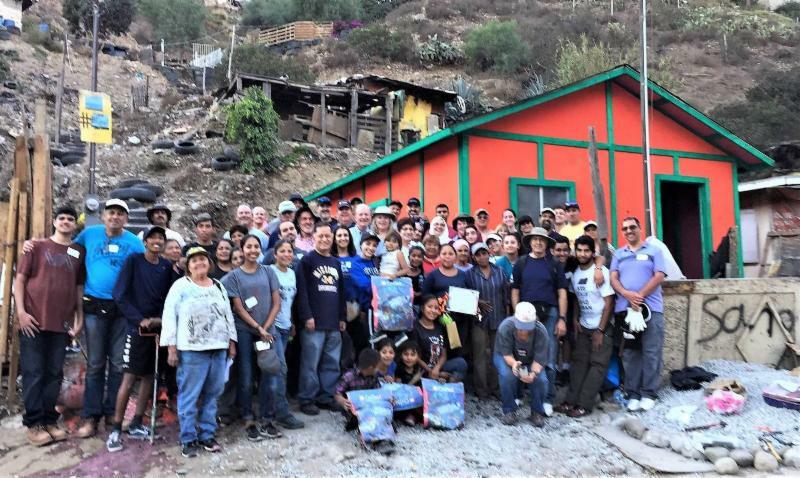 Plans are underway for this year's Corazon volunteer construction trip to Tijuana, where we'll again build a home for a needy family, working side-by-side with our friends at the Mission Viejo mosque. On each of the last three trips, Muslim pre-teens, teenagers and young adults were enthusiastic members of the work party. This year, they hope to be joined by Christian pre-teens, teenagers and young adults. 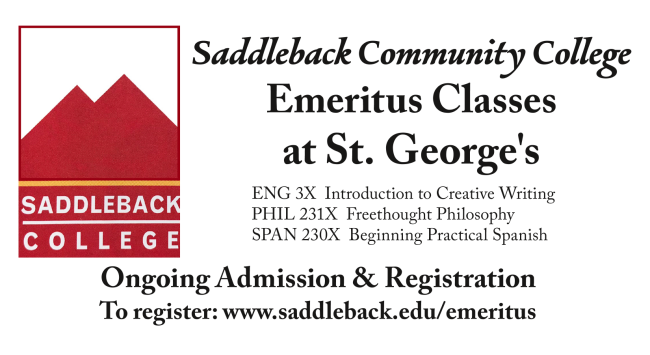 Do you have children or grandchildren who might be interested in attending on one Saturday in the fall? (Exact date not yet chosen). Please contact Colin Stewart with questions or for further information at (949) 439-5553 or email at colin48stewart@gmail.com. We are beginning the second half of our Capital Campaign this month. Funds raised to date: $82,146. We are getting very close to our goal of $100,000! We only need $17,854 to make our goal. 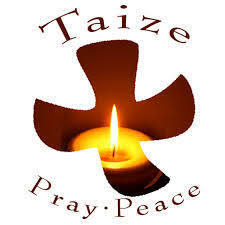 Please prayerfully consider how you can help. To date we have received $208K of pledges towards our goal of $230K. Thank you to everyone who has pledged so far. Towards our capital campaign, we have collected $82,146 so far! We are only $17,854 short of making our goal! As mentioned during our annual meeting, our first priority this year is to replace our fire alarm panel. In order to get this done, we will need to get pretty much to our goal of $100K. 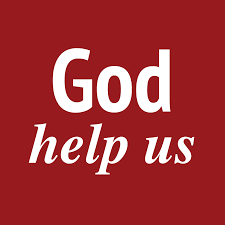 We prayerfully ask for your help in achieving this. Let Debbie Spurr know of any issues you may see. She can be reached at Djspurr@cox.net or via phone at (949) 324-2000. Our goal is to raise $230,000. Please consider aiding this effort. April 16 - OCTA is making a presentation to the Lake Forest City Council at 6:30pm. Anyone who is able to attend this meeting is encouraged to do so ... to show support for St. George's. April 18 - OCTA will host a public forum from 4:30 to 7:30PM at the Holiday Inn in Lake Forest. They will review all public comments, possibly revise their project plans and then release the revised version. 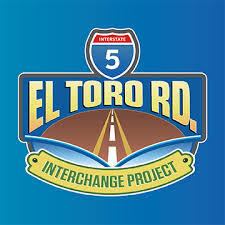 Of note: there are now only 2 proposals, instead of the original 5. We still are unsure how, if at all, our campus will be impacted. 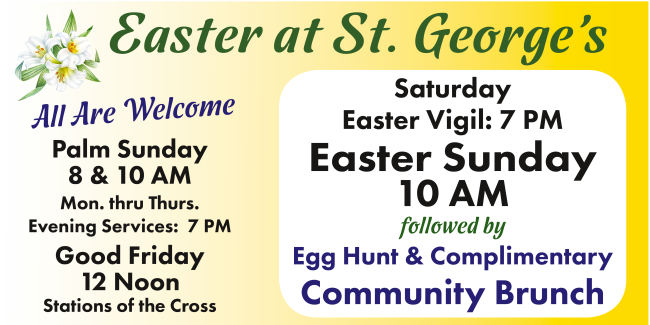 Please make every effort to attend to show support for St. George's. 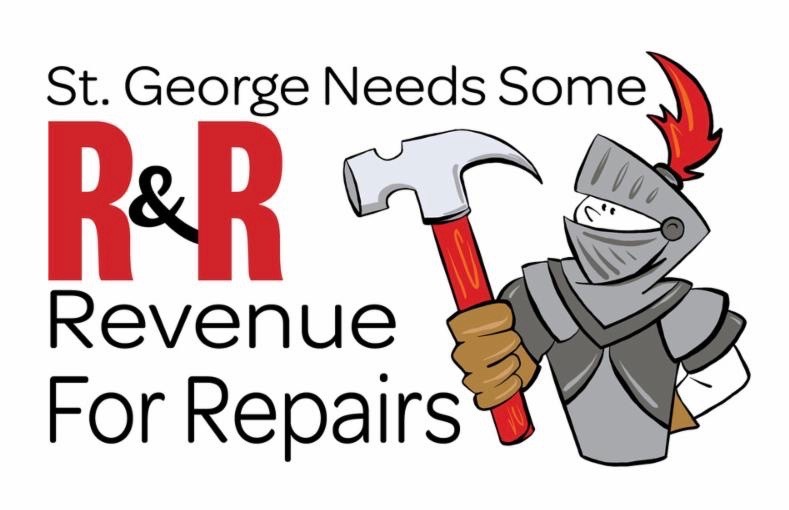 Please let us know of any needed repairs. We will address them as soon as possible . Who help with Coffee Hour & Clean Up afterwards ... it takes a village! ﻿Please Note: We are a Smoke-Free facility at ALL times . Transportation Ministry: Parishioners needed to assist with rides to and from church; and to donate funds to help others reach church via public transportation. Checks may be made out to St. George's, with "transportation" in the memo line. Contact: Bob Howe at 949-929-3812. South County Outreach Food Pantry. Donations taken weekly. Contact Flo Niermann at 949-770-1159 or floniermann@gmail.com. Especially needed: canned chicken; canned fruit; bagged beans; cereal & breakfast bars; peanut butter and jelly. Barrels in church narthex. Outreach. Check with Diane Pound to find out when Outreach meets. Sunday, Apr. 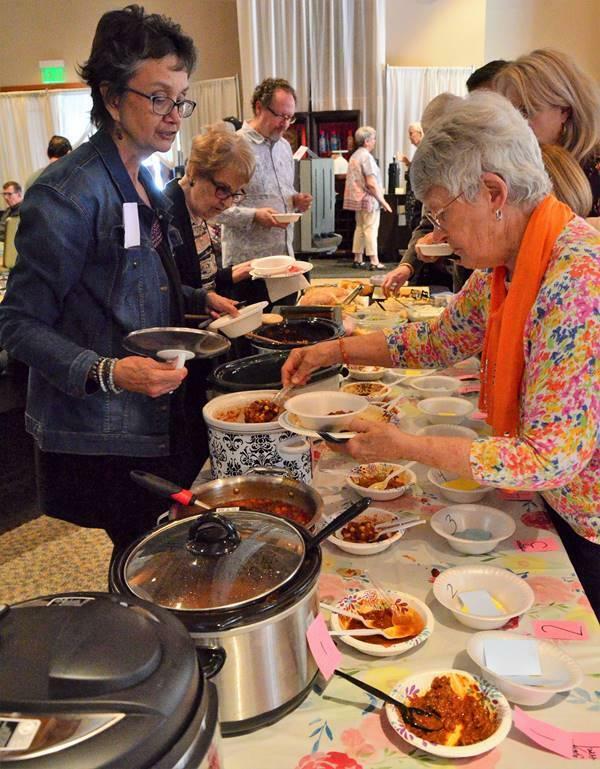 7 ~ Chili cook-Off after 10AM Service!! 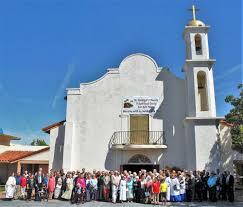 Healing Service, 12PM, Wednesdays, Holy Eucharist, Laying on of Hands and Healing Prayer in the church. The Welcome Table, 7PM, St. Paul's Tustin. 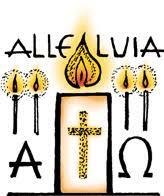 1st Wednesdays, Monthly Eucharist for all LGBTQ Community & Friends. St. George's Book Group, 12:30PM, 2nd Tuesdays. Bring a sack lunch. 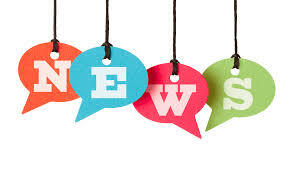 Share it in the e-news!